Without trying to sound like a disc jockey on the local oldies station, I must say I’m very excited to announce: it’s a double disc Friday! 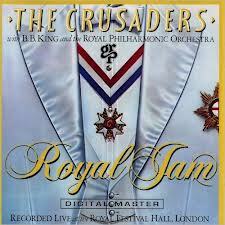 First up, Royal Jam a hot, jazzy album featuring The Crusaders and B.B. King live at the Royal Festival Hall in London. The Crusaders epitomised the slick, dinner-club jazz sound 1970s. Formed by keyboardist Joe Sample, and trombonist Wayne Henderson in Houston in the early 1950s, the group saw several other giants of modern American jazz such as flautist Hubert Laws and guitar whiz Larry Carlton spend considerable time in the group. Their sound was driven by the fluent keyboard runs of Sample and the clear melody lines of Wilton Felder on tenor sax and summed up the dying stages of the years of American confidence. When the world still thought America not only had something of value to add to most conversations but indeed, was the last word on most conversations. A time when hope and a broad and bright horizon, rather than gritty resolve and slow crumble, defined the United States. Crusaders music was bright, up-market and spirited. And very catchy. The Crusaders version of popular jazz not only added funk and finesse to many recordings beyond their own, but kept the very notion of a non-rock style of music alive and somewhat in the public sphere. This was a time when ‘jazz’ was about the slowest selling genre in American record stores and several years before Wynton Marsalis stormed the scene with his revivalist fire and trumpet flare. This record was made in 1981 and features The Crusaders in top form before an adoring British audience. Chief guest, Mr. B.B. King, adds an extra layer of grooviness, which together with the smooth strings of the Royal Philharmonic Orchestra, make for a heady, swoony atmosphere. You can just about feel the very velvet of the band’s lapels! The next selection is a stone classic from the same era. 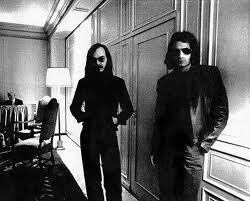 Aja was the best selling album made by Steely Dan and the one that increased their gravitas several times over. Its tone and atmosphere was spare. 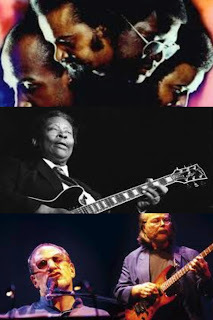 The music featured several members of The Crusaders (Joe Sample and Larry Carlton) as well as a whole roster of the Good and Great of American music including Bernard Purdie, Wayne Shorter, Clydie King, Michael McDonald, Steve Gadd and Tom Scott just to identify a few. 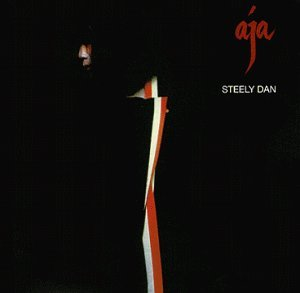 Aja is considered to one of those albums that did much to keep a jazz sensibility, if not jazz itself, alive in a time when it was on its deathbed. In 2011, the album was deemed by the Library of Congress to be "culturally, historically, or aesthetically important" and added to the United States National Recording Registry for the year 2010. Sophisticated pop. Slick jazz. Enjoy your Friday evening.